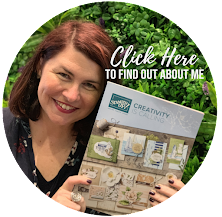 It is time for another Crazy Crafters blog hop - The Crazy Crafters in case you were wondering are my Stampin' Up!® team made up of 165 Demonstrators from all around Australia. They are such an incredible bunch of crafters and are kicking amazing #sixmonthstampingoals this year. 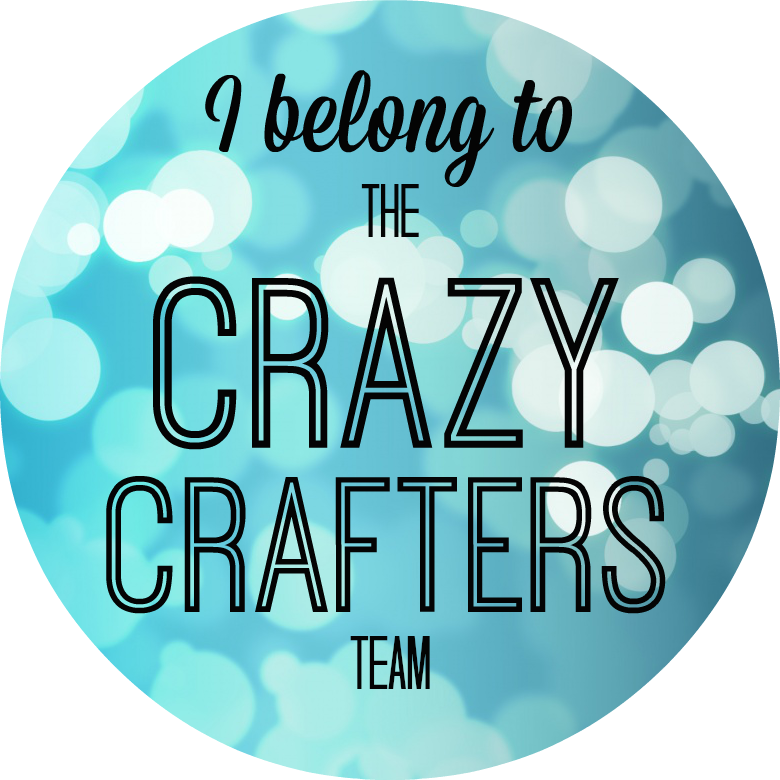 There are so many incredible Crazy Crafters that are achieving amazing things. The fact that there are so many of us blogging today show you what an incredible team this is. The card that I made today is inspired by their achievements. What is really exciting is that we get to case and hop with the amazing Dena Rekow! I met Dena in Hawaii and we hit it off as soon as we met! 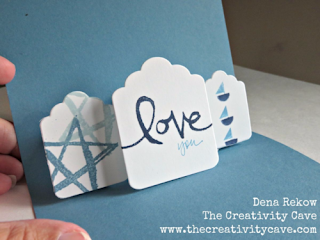 Dena is so much fun, so creative and a brilliant person to be around. She is super talented. She is VERY well known for her awesome Selfies and this photo of us in Hawaii is perfect to show that! What a professional selfie taker. And this is the inside how cool are those pop ups?? 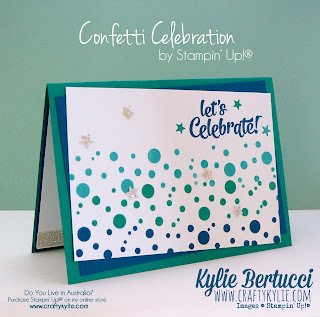 Instead of using the bigger circles I decided to pull out my Perpetual Calendar Stamp set and use the new Dapper Denim and Emerald Envy with Bermuda Bay. Aren't they gorgeous colours?? 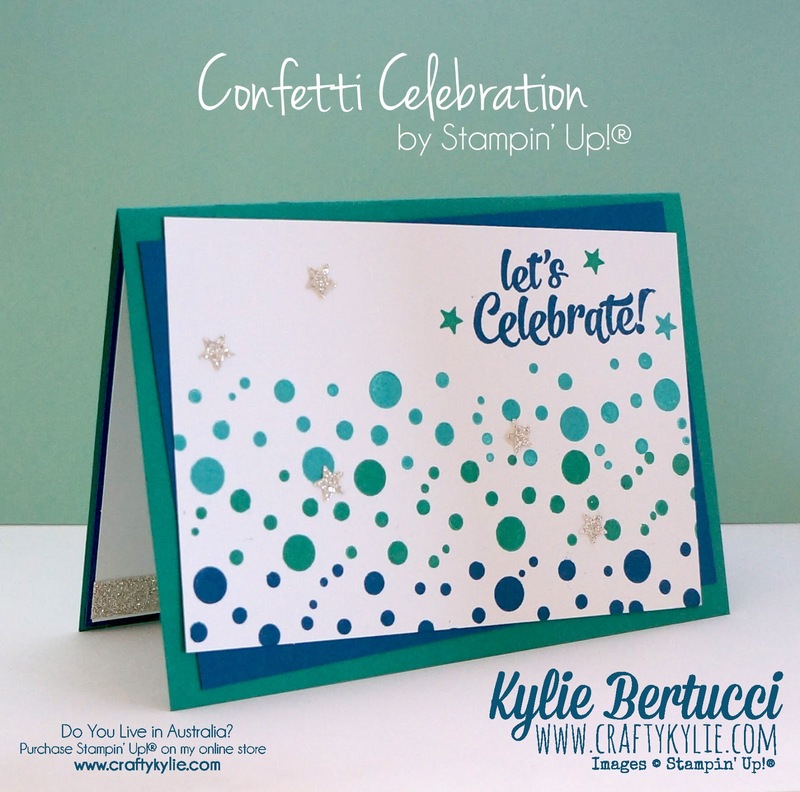 The Sentiment Let's Celebrate is from the Brand new Stamp set called Confetti Celebration and will be available from June 1st. 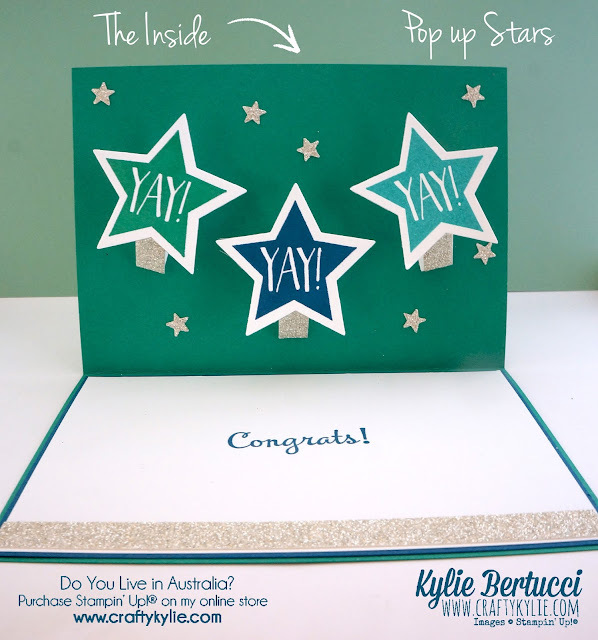 Because of the way that I had placed them I could see the pop up cardboard so I added some bling to the back so it looked like you were meant to see them all along - in fact I love it as it looks like they are shooting stars - which is exactly what my Crazy Crafters team are! STARS! Thank you so much for joining us for our hop today Dena - it was such a pleasure to go through your blog and pick a card I wanted to case - you have so much wonderful work for us to be inspired by. Keep up your amazing work being so creative. 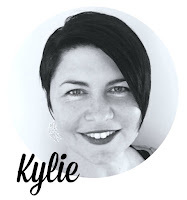 Here is our blog hop list - Currently you are at Kylie Bertucci's blog - so check who is next in the list and hop all the way around as you are going to be so inspired by this talented team. Oh wow! This card is so awesome! The colours, the design, the shooting stars .... everything about it is stunning. Love this Kylie, the touch of bling is just perfect! Brilliant Kylie!! Love this card!!! Awesome card Kylie! Don't know why I missed that one on Dena's blog! Love the colours. Fantastic CASE. You've perfected getting inspiration and making the design your own. Great colour combination. I love the pop up stars. I'm going to try this. Awesome card Kylie. The pop up card was in my short list of cards to CASE. Love the circles, I must ink up that set. What a great card both inside and out! Love this. Some of my fav colors, and love the pop up tags inside. 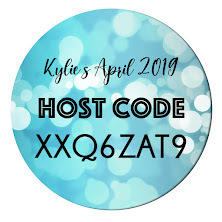 Love this card Kylie! The colours look great together and the shooting stars are awesome.